Around my neck is a recently-finished small shawl, Wandering the Moor - which I spun in several shades of grey from a Shetland sheep's fleece. On my shoulders is Layter, a sweater I finished quite some time ago and have worn many times, but have somehow not gotten any decent photos of yet. 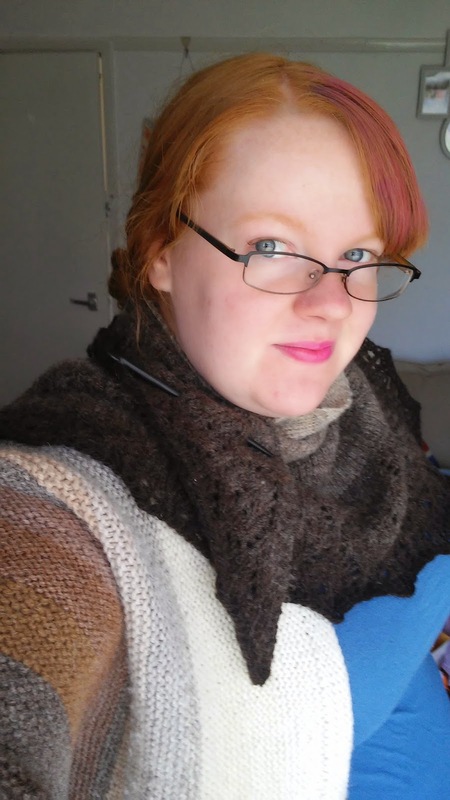 It was an easy and fun knit, and it's a great finished object as well - easy to throw on and nice and warm. I have to wear the wool while I still can - and in the meantime, I'm knitting lots of socks to keep myself in handknits through the spring and summer.